KB+ is now on release 3 with more improvements and changes to the system. The one that has had the biggest impact on me is the updated search function. Building on the popular comparison basket search function it is now possible to search all the packages within KB+ from the same looking screen. Alongside a simple name search there is now the option to filter the results by year, consortia and content provider making it easier to get to the package you want. 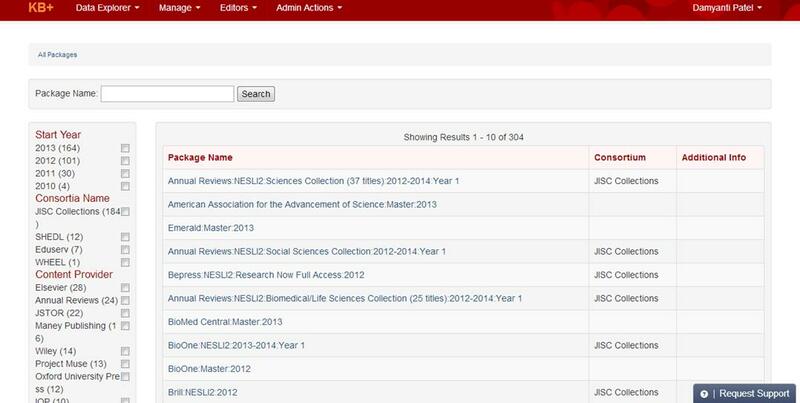 As we continue to add more packages to the system, some of our recent additions include Elsevier Freedom Collection, Elsevier Subject Collections, Annual Reviews, Taylor and Francis, Jstor, efficient navigation becomes essential. 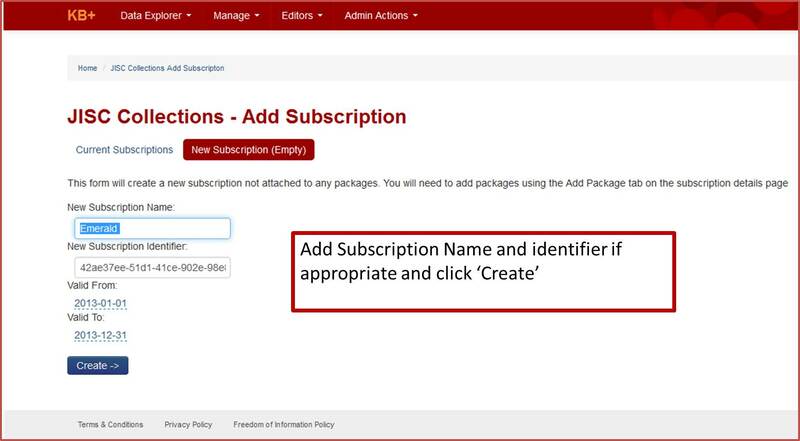 Creating subscriptions has also been simplified. Your starting point is creating a subscription with a name and reference that is appropriate to your collection. 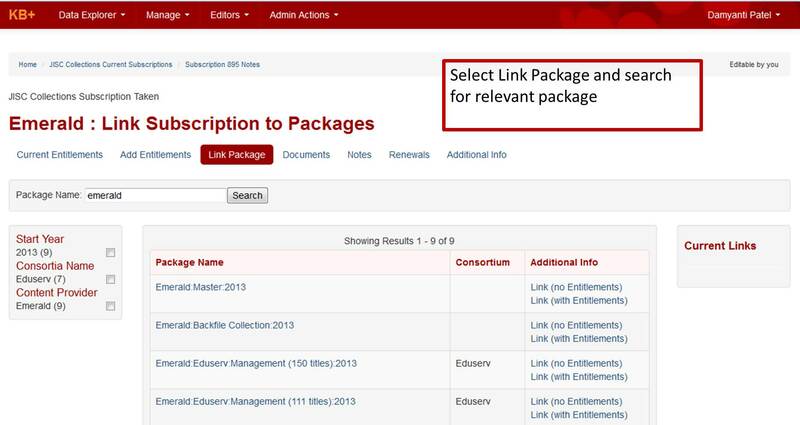 You can then link it to the relevant package, if available in KB+, using a similar search as above. 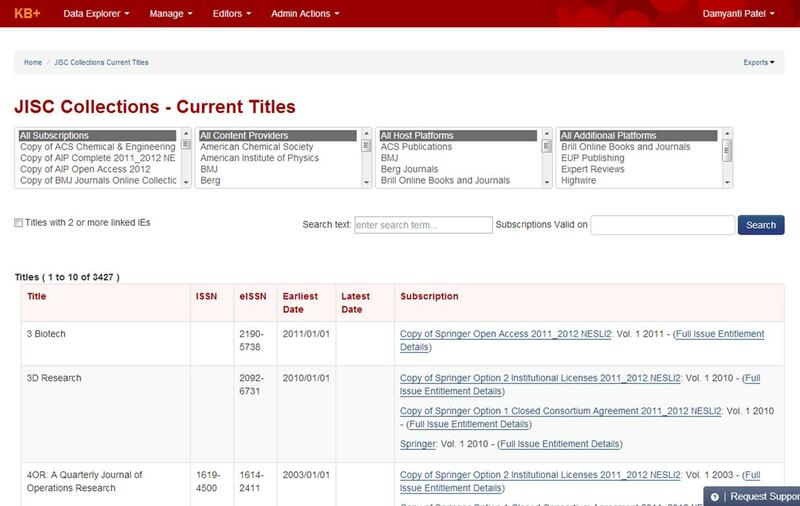 You can also view a full list of current or past titles that you subscribe to in KB+ including subscription information. You are therefore able to see titles which appear in more than one package.